Campaigns for the Texas Board of Education seldom make news, especially in the 31 rural and small-town counties east of Dallas that make up District 9. Republican candidate Mary Lou Bruner has changed that. “Those Facebook postings are just one little dot in my whole lifetime, and they’re controversial, but I still don’t think I’ve done anything wrong,” Mary Lou Bruner says. The 69-year-old retired teacher from Mineola made national headlines with some of her Facebook posts over the years. She’s declared Islam a cult religion, labeled climate change a Marxist hoax, and she called President Obama a homosexual who prostituted himself to pay for a drug habit. This month Bruner easily led the Republican primary field, and she faces a runoff in May. News outlets across the nation have picked up the story. The Washington Post reported: “A Texan who called Obama a gay prostitute may soon control what goes in children’s textbooks.” Gawker declared: “Meet the Science- and Muslim-Hating Conspiracy Theorist Running for the Texas Board of Education.” The New York Times profiled her. Even HBO comedy newsman John Oliver weighed in. Bruner says she doesn’t watch Oliver’s show, but she doesn’t back down from the comments she’s made, either. In one Facebook post, she said Obama once prostituted himself. It’s a logical conclusion, she says, since he admitted to smoking pot as a young man. Bruner would rather talk about her qualifications for the job. She retired from a 36-year career in a handful of East Texas public schools where she was a teacher and, after getting a master’s degree in special education, worked with kids with learning disabilities as a diagnostician. Being at the center of this much media attention has put Bruner on edge. She’s been receiving nasty emails through her website, and she’s almost entirely stopped granting interviews. Bruner’s Republican opponent in the May 24 election is Keven Ellis. He’s a chiropractor and president of the school board in Lufkin — and he’s critical of Bruner’s Facebook posts. Ellis says he is also running on conservative education principles: fiscal responsibility, local control of curriculum and transparency. He says board members shouldn’t insert their own political views into science or social studies standards, but rather listen to the scientists and historians who know their fields. “The state board of education does not need to be an embarrassment to the state of Texas, and comments like she makes can turn it into a laughing stock,” he says. Thomas Ratliff is also unimpressed with Bruner. He’s retiring from the District 9 seat. He’s a moderate on the state education board and says he’s concerned that Bruner will slow the board’s progress and reinstate an era of bitter partisanship. Ratliff calls Bruner’s views on teaching antiquated and naïve. I met Bruner in Mineola, a tiny town with an old downtown drag filled with shops and restaurants. We talked at her brother-in-law’s insurance agency and Bruner came prepared. She brought a host of old newspapers and Internet printouts, all highlighted and neatly underlined. She wants people to understand why she’s so concerned about education. She points to one chart reprinted from an economics textbook that shows progression from capitalism to communism. It’s an example of what she sees as a worrying trend in education: a bias toward progressive ideas and a tilt toward indoctrination..
Bruner says she wants a seat on the State Board of Education to promote phonics, basic arithmetic and cursive writing. She says schools should test less and teach kids to read when they’re ready. “There’s something shameful when we are graduating children who are not ready to go to college are not ready to balance their checkbooks and basic things like that,” she says. Bruner also wants to see schools emphasize love of country and capitalism, that don’t promote gay or transgender issues, and that don’t teach climate change as a fact. 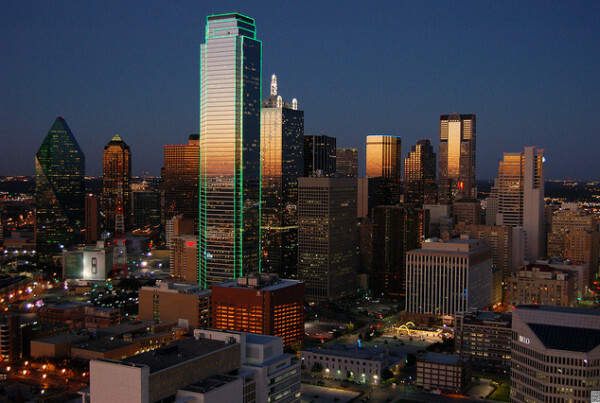 Texas Population Explosion: Metros Boomin’ – Want Some More?